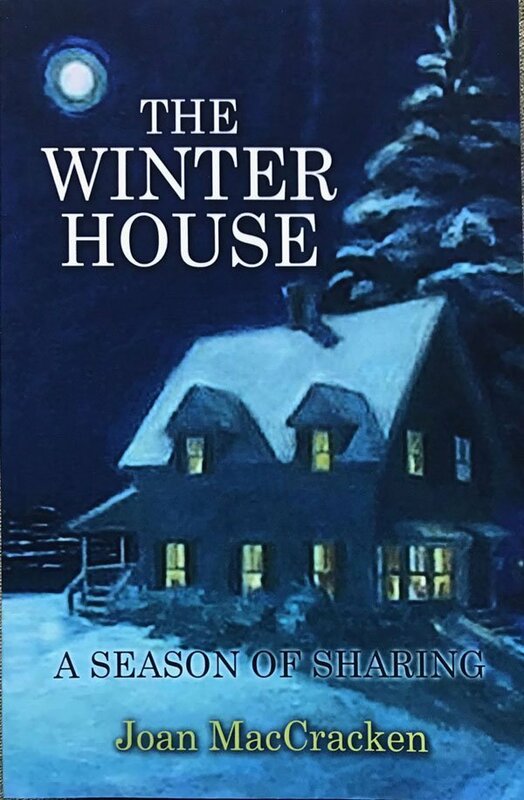 The Winter House, by Joan MacCracken is the heartwarming fictional tale of four single women in their seventies who spend the five months of winter living together in rural Maine. They make this choice for companionship, sustainability, and cost-savings. It all starts when Elizabeth, a recent widow, decides that she would like to stay in her summer house through the winter. The house is winterized because Elizabeth had hoped that, someday, she and her husband might stay rather than going back to the city. They never did, her husband choosing to work in the city. Now she has to make her own choices. It’s a big house, with five bedrooms and baths – a lot to heat through a Maine winter. She also worries about being lonely in the long winter. She wonders, could she invite three other single women to live with her? Mary decides she’s interested. Suggests that a friend of hers might be as well. That person then thinks of another. Each agrees she’s interested, and they meet to talk about it. Figuring out who has what room is easy and they agree to try it. As a story, I thought the selection process was a little too easy – as if the author wanted to hurry up and get to the story of them living together. It might take a bit more work to find four compatible women. Or does it? In a small town – people know people. They interact through all sorts of community activities, volunteer work, classes, and organizations. As readers we follow the process of the third person, Janet, who has been asked to consider who might be their fourth. She mentally scans her various involvements – Buddhist meditation group, hospice volunteer, and library committee. While driving home she passes the house of Catherine, whom she knows because she was the hospice volunteer when Catherine’s husband was dying twelve years earlier. She asks Catherine, who is willing to try it, and the four come together in short order. So, each person invites one person. And that in fact is the best way to find a home-mate — through community connections. Implied in the selection process is that each woman chooses someone she likes, respects, and trusts to live well with others. The women move in and their lives change as they get to know each other, share stories from their pasts, and open up about problems and difficulties that they have kept to themselves. They eat dinner together with some enjoying having people to cook for and others enjoying not having to cook. They egg each other on into good habits – learning to do a yoga handstand is one of the ongoing subplots – and avoid the bad habits that living alone made tempting. They have company. The book is a good read and a fabulous exploration of what might be possible when people choose to share housing. One interesting dimension of this story is that the period of living together is time-limited. None of the women needs to give up her home at the start of the experiment. When the spring flowers start coming, they are able to return to their homes – though they are changed. Two choose to continue to live together for the summer and one wonders what happens the following winter. I spoke to Joan MacCracken, the author, about her book. A retired pediatric endocrinologist, she lives in the part of Maine in which the story takes place. The idea for the book came out of her experience of volunteering with a program that gives older people rides to doctors and shopping. She says, “Many women lived alone. Two women who went out to lunch and did things together in the day time lived alone at night. They did not drive at night which in Maine means 3:30 afternoon until 7am in the winter. Their children who lived away worried about them. We also had a woman fall outside in the snow walking down the driveway to get a newspaper. Her alert necklace did not work from that distance. These two thoughts put together made the solution that women should live together at least in the winter. Safer, less lonely which is better for mental health, more fun. Why not? In Maine many folks close up their houses and go to Florida so why not close up one house and move in together for the winter just to give it a try. Thus The Winter House. Do you know that currently a full twenty-three percent of senior Mainers are single women who live alone? I heartily recommend The Winter House as an illustration of how shared housing can work. What would happen if you joined up with a friend or two for a season? You could try it. Interested in reading the book? We have a few copies. Buy it here.